Do you need a web application designer Perth to complement an existing or new website to pierce a growing medium? Creating responsive web applications is what we do best! It means that our web application designer builds websites that are compatible to any device. Sometimes, you could be wondering what could have been the cause of your prospect customers not to come back. Everything seems to be doing great, but not even the SEO services Perth you applied for can cut it. You may have the most in-demand products in the market but not have a well- designed web application interface. Aleph IT is home of creative web application designer Perth who can give you the most promising web application structure. Problems like fussy designs, hard to find buttons and a very boring display can push your prospect buyers to flee. When they encounter these, most users feel irritated, confused, and frustrated. If you are afraid that your customers may feel the same way, then you certainly need our Web application designer. Across Perth, we offer services that will change your site for the better. Our team is knowledgeable enough in making your application the best in the market. They are certified and licensed to handle web application intricacies. 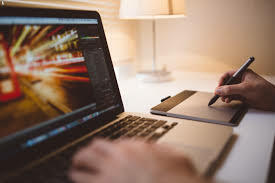 It can get complicated because generally, web design requires many skills and disciplines in creating and maintaining websites. Moreover, our web application designer is an expert in all parts of the design process. We use the latest technologies in order to give you the best results! What are you waiting for? Start giving your customers the best experience that they wouldn’t want to miss. Call us now and get the best from our web application designer perth! This entry was posted in Aleph IT Services and tagged custom web application developers, custom web application development, web application designer.